Nvidia has just introduced to the world its most powerful product yet in the form of the GeForce GTX 1080 GPU which is also accompanied by its slightly watered down variant, the GTA 1070 GPU. These two happen to be the first consumer products to use the company’s new Pascal architecture. The GeForce GTX 1080 and 1070 GPUs boast of being faster than even the Titan X which comes at a whopping $1000. Nvidia has apparently spent ‘several billion dollars’ till date on the R&D for these new products. 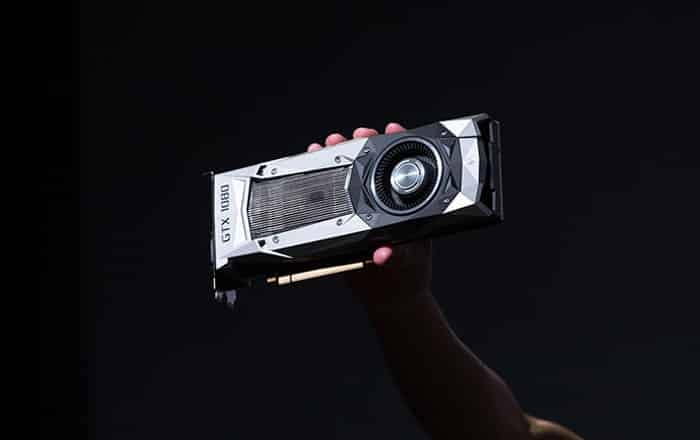 The GTX 1080 has been revealed to be twice as powerful and thrice as power efficient than the Titan X. And of course it’s extremely fast compared to the GeForce GTX 980 cards in SLI, to which these new offerings act as successors. Even the GTX 1070 is faster than the Titan X. To give you the exact numbers, the GTX 1080 can pump out 9 Teraflops and kicks in 8GB of VRAM, which is of the new GDDR5X variety. As for the GTX 1070, it is able to push out 6.5 Teraflops, while it adopts an 8GB of VRAM of the ordinary GDDR5 kind. Nvidia has blessed the GTX 1080 with a ‘simultaneous multi-projection’ technology which helps games look less distorted on triple monitor setups or ultra-wide 21×9 screens. This feature also helps it offer better VR rendering moreover. Both these cards support Nvidia Ansel, another new technology from the company which renders a full in-game 3D camera system. If developers enable this within their games, players will be able to independently adjust camera positioning and angles while capturing screenshots. The new Nvidia GTX 1080 will be released worldwide on May 27 at a starting price of $599, whereas the GTX 1070 model will be made available on June 10 starting at $379.